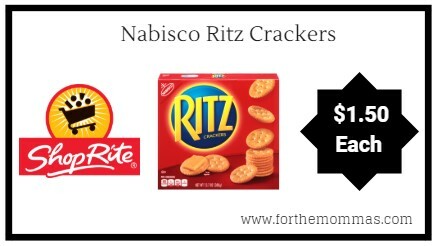 Thru 9/22 ShopRite will have Nabisco Ritz Crackers priced at only $3.00 each when you buy 2. In addition to this, we have a Nabisco coupon insert available . You will also earn $1.50 catalina to make your final price ONLY $1.50 each.